Posted on June 5, 2017 at 7:21 pm. Fruity, tart and complex, the flavor profile of sour beer is sure to leave a lasting impression on your palette. And as the craft beer market continues its upward trend with sour ales by its side, you may be wondering how this distinct beverage gets its tartness or which style you should try next. Continue reading to learn more about this one-of-a-kind brew. Brettanomyces – Brett is a strain of yeast used to slowly ferment beer and produces funky brews, a subset of sour beer. Lactobacillus – Used to convert sugars into lactic acid, lacto is a bacterium that creates sour styles with crisp, clean sourness in a short amount of time. Lacto is often found in Gose and Berliner Weisse brews. Pediococcus – Like lacto, pedio is a bacterium that lowers the pH level of the beer by creating lactic acid. However, pedio is known for its funkier flavors and aromas. Some brews, like Lambic, are made by leaving coolships, or big open vats, of wort exposed to the outside air, letting wild yeast and bacteria ferment the beer naturally. Then, they are aged in barrels and later blended for consistency. What Sour Beers Should I Try? As you peruse the beer selection of your local grocery or liquor store, you may notice the sheer variety of sour ales, from Lambic to Berliner Weisse to Gueuze to Gose. Consult the following flavor profiles, and choose the sour beer that best suits your personal taste. Flanders red ales – These are a great choice for those new to the world of sour beer. Generally light-bodied and reddish-brown in color, they are characterized by sharp, fruity, sour and tart notes. 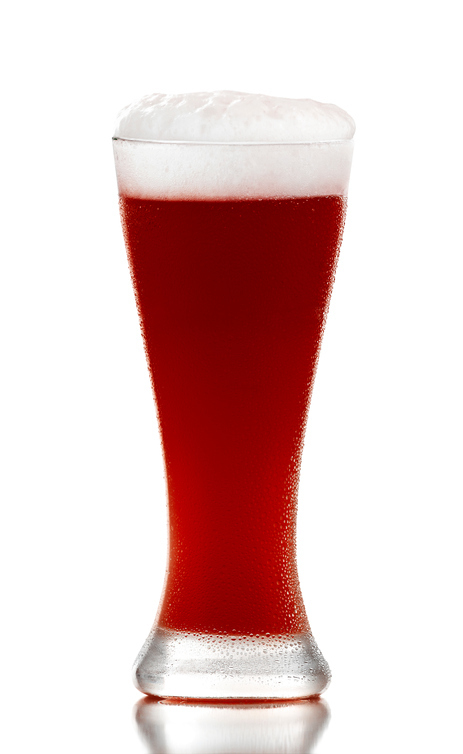 Berliner Weisse – On warmer days, go for a Berliner Weissbier. Pale-gold in complexion, Berliner Weisse beers are refreshing, tart, sour and acidic, and typically feature a lemony, citrus sharpness. Lambic – Crisp, yet tart, Lambics are light-bodied beers with little to no hop flavor or distinctive bitterness. Lambic varieties are often blended with fruit to balance out the brew’s sour nature. Gueuze – If you’re looking for a dryer, yet fruitier, flavor profile, seek out the traditional Belgian Gueuze, which is made by bottling both young and old Lambics together and aging them for about two to three years. Gose – A German sour ale, Gose is slightly tart, yet highly refreshing. This brew features a signature spice and dryness attributed to the addition of salt and coriander. Contact Columbia Distributing today to learn more about the sour ales and other alcoholic beverages we distribute.